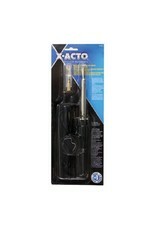 The X-ACTO Precision Soldering Iron is an elegant, stainless steel model. The quality reflected by its attractive finish is matched by its high level of performance. This soldering iron features a heat-resistant plastic handle and no-roll flange for increased safety. 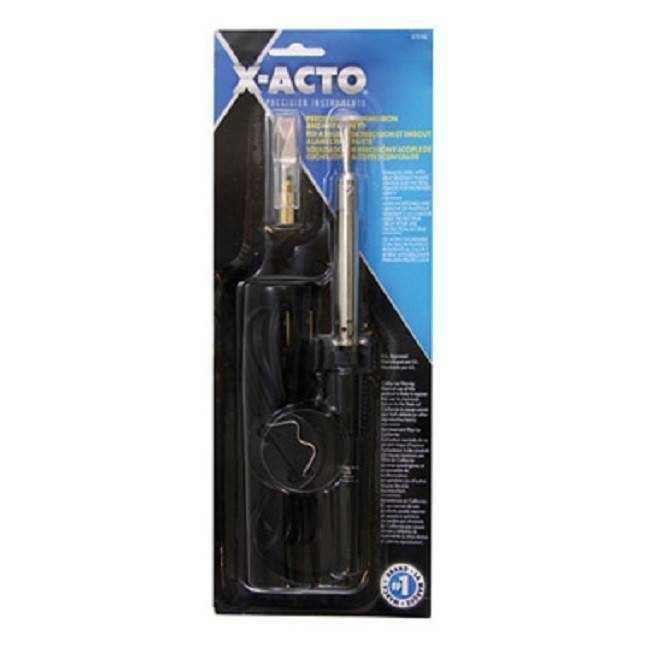 Crafted with X-ACTO quality materials and attention to detail, this soldering iron will make short work of all of your household projects and repairs. This set also includes a hot knife attachment for precise cuts through plastic, Styrofoam and candles, making this soldering iron great for hobbyists.